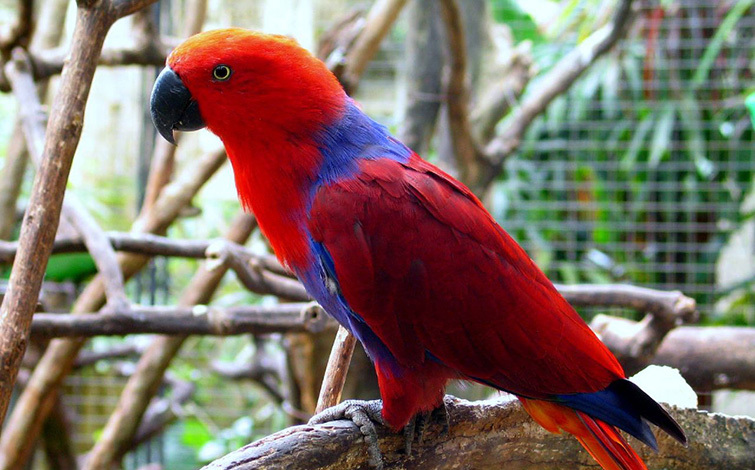 Male Eclectus Parrots often have mostly bright green plumage and the females have a mostly bright red and purple/blue plumage. 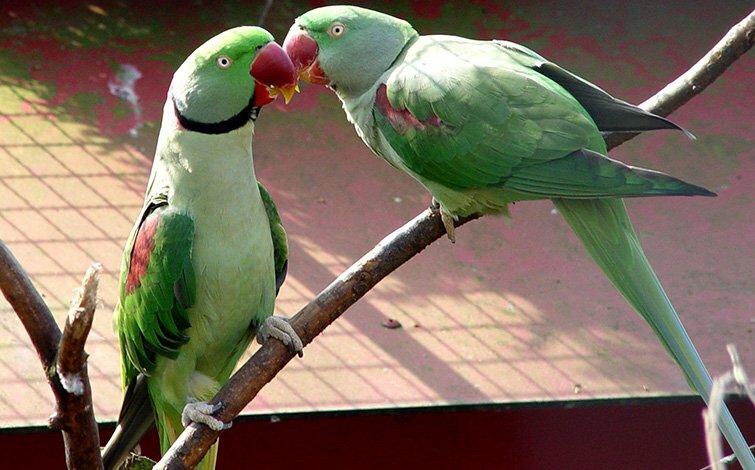 Males may travel up to 20 km to forage, and up to five males will regularly provide food for each female. 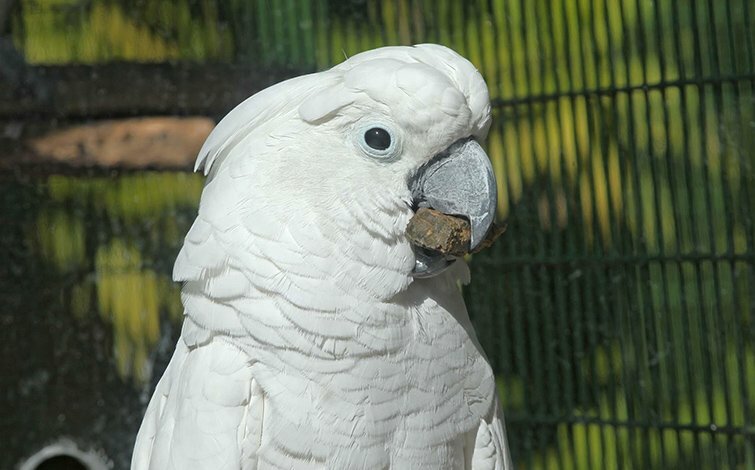 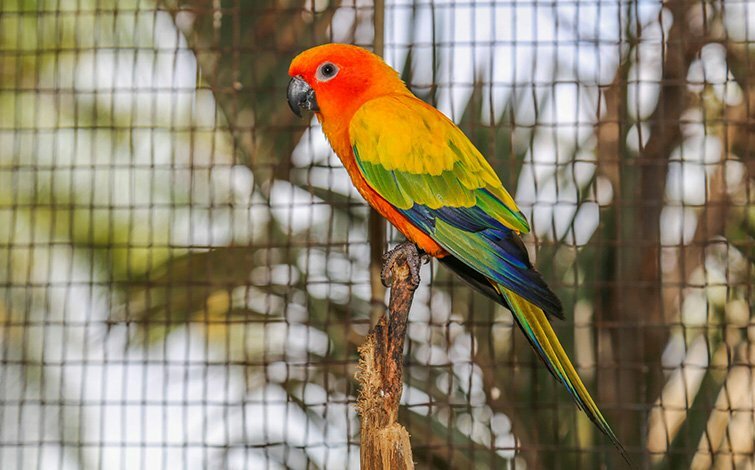 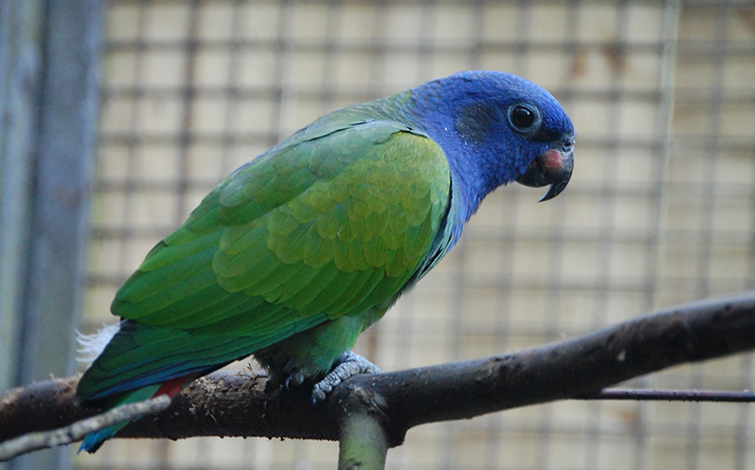 These parrots are considered pests for eating fruit off trees. 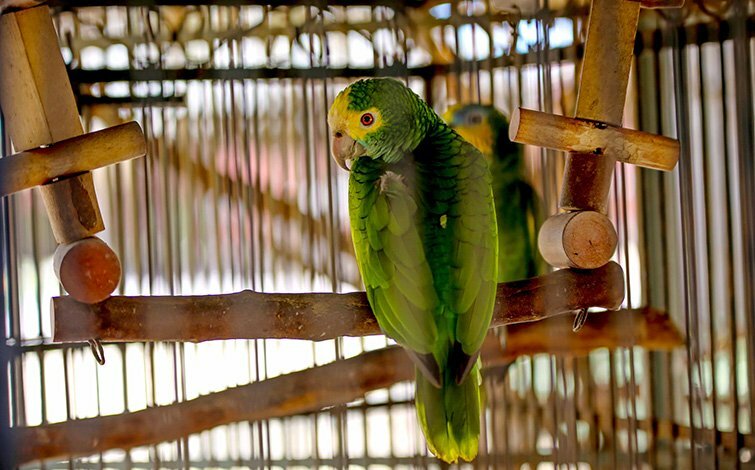 Some populations, restricted to relatively small islands, are comparably rare. 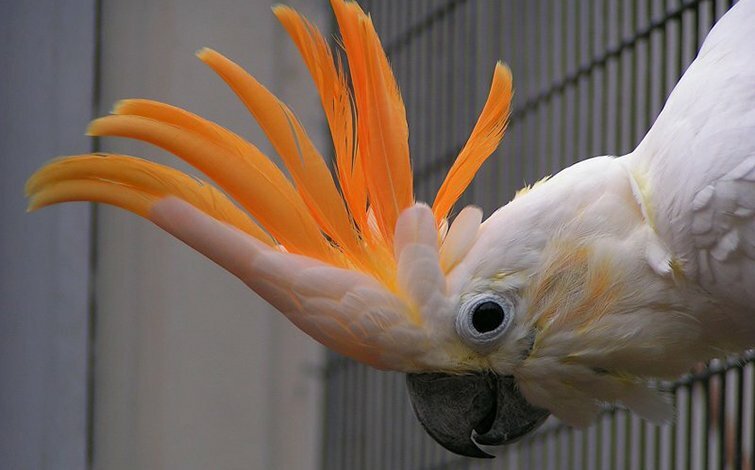 Their bright feathers are also used by native tribal people as decorations.